James at The Betting Desk intertwines his love for football statistics and figures with his bets, which in turn provides a consistently profitable service to his subscribers. If you like to know that your selections have been researched to the maximum with no stone left unturned then this is definitely the service for you. Join The Betting Desk and start winning regularly! 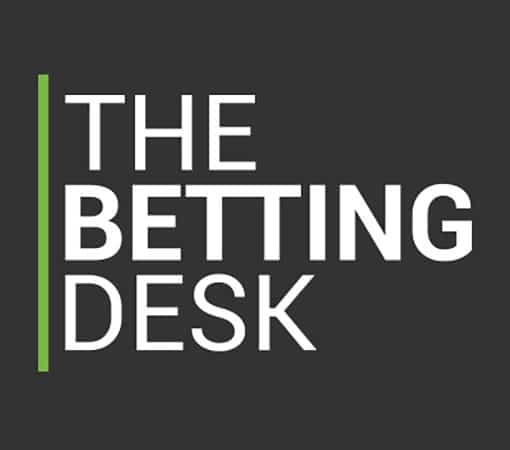 The Betting Desk is run by a full time professional football bettor and trader. James has been betting for many years and specialises in European football- with a passion for the English leagues. He loves statistics and spends hours each week researching data, expected goals, team news, form in order to make educated value bets. The Betting Desk tipping service has led to excellent returns for both punters and tipster alike. Transparent and open with members, The Betting Desk is keen to help fellow gamblers and is always on hand to discuss tip rationale and improve members betting decisions and habits. Bet what you are comfortable with and make sure that you have a betting bankroll that is separate to all other funds. Staking units are applied to each bet, with the maximum bet being a 5 unit stake. The maximum bet should never be more than 5% of total bankroll. Members should expect to be sent 20-30 bets a month dependent on fixture lists etc. As expected weekends are busiest, but there are plenty of midweek extended fixtures throughout the season. What bookmaker accounts do I need to follow Betting Desk? Having multiple bookmaker accounts is a wise decision to extract the highest possible value from advised bets as James will always seek the best odds. However, most of his advised tips are available to stake at Bet365. This would be the account of choice if you were to use just one bookmaker. If you have changed your mind about subscribing to Betting Desk for any reason within the first 7 days you can request a full refund. Just get in touch! What are the benefits of following Betting Desk? James at Betting Desk is very thorough with his research, and has a real love for statistics. His processes throw up plenty of winning bets, meaning that you’ll receive regular selections throughout the football season. What is the Odds Range of Betting Desk’s Advised Bets? James believes that value can be found at a range of odds. His techniques are reliable and his bets could be anywhere between the 1.5-2.5 range within the markets he specialises in. Betting Desk’s area of expertise lies in asian goal lines, total team goals, asian handicap betting, cards and corners betting. His statistical analysis brings these markets to the fore. The aim is always to give members plenty of time to place the advised bet. Generally this will be by 10.30 am on weekends and 12.00 noon midweek. As always, an amount of flexibility will be required as information becomes available at differing times. James provides plenty of English football selections. Expert use of statistics such as expected goals, shot data, performance analysis. The Betting Desk wants to help you become a profitable gambler. If you aren’t impressed with the service in the first 7 days you can request a refund! Bets posted as soon as the right price is found. Betting Desk likes to let his subscribers know exactly why he likes a certain bet. Been a subscriber for about 3 months. Has consistently delivered profit most weeks through both his paid for service and extra free bets (his free corner bets have an incredible hit rate and deliver meaningful value). James delivers a high volume of bets to follow and is always messaging as things develop and very happy to help with any queries. He also comes up with bets for other sports he offers up for free (most memorably this years Ryder cup for me). He is a good guy, offering an honest and friendly service. James’s tips salvaged my World Cup which incidentally where I first learned of Betting Desk’s service. Since subscribing I’ve enjoyed consistent profit as well as enjoying successful free tips on the Telegram in-play service. Of course there are spells where the results don’t go our way, that’s just betting for you. However, there are a lot more wins than losses and profit made overall. I have no reason to doubt that this trend will continue…an excellent service and an approachable guy to ask any questions etc. If consistent profit is the thing you’re after then look no further than BD. Also telegram inplay bets are absolute gems as long as you are fast enough, the stats say enough about profit. Started following him just before the World cup and wasnt disappointed yet. Confident Tips with a very good ROI, one of my favs till now.